The College is one of the most ideally placed institutions in New Zealand for Environmental education. Fiordland College takes pride in its place at the edge of the Fiordland National Park and in the significant role it plays in its local community. School leaders and teachers make good use of the school’s location to help provide a wide range of opportunities for students to engage in their learning and in the wider life of the school. 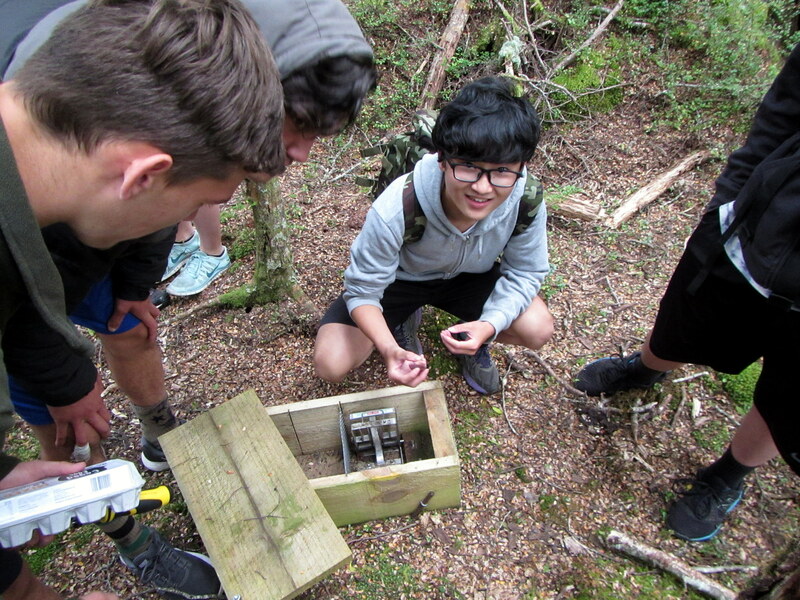 Such learning experiences include outdoor pursuits, sports, and other education opportunities outside the classroom with a clear focus on the environment. These shared interests and pursuits build the sense of belonging that is evident in the school. The interest many students show in taking an active responsibility for the wider environment is a key factor in many curriculum developments. We offer NCEA Level 2 and Level 3 Environmental Innovations courses with a big focus on action projects including riparian planting, waste separation and minimisation, energy use and insulation, transport and carbon emission reduction, Fair Trade, pest control and cultural awareness. Year 7 Action Group projects include plant identification signs, Te Anau Bird Sanctuary projects, House Colour enhancements and gardens. We have strong links with the community including DOC, Fish and Game, Real Journeys, Go Orange, Meridian, Southland District Council, and Teen Ag. The Enviroschools Foundation is a charitable trust providing support and direction for a nationwide environmental education programme. The Foundation has partnerships with the Ministry of Education, the Department of Conservation, and regional councils. Enviroschools were first set up in the 1990s and there are now Regional Environmental Education Officers to support ‘the creation of sustainable schools’. The Enviroschools Foundation has the vision ‘to foster a generation of innovative and motivated young people who instinctively think and act sustainably’. Fiordland College has won the Southland Environment Schools Award. One of the school's strategic goals is to become a centre of environmental excellence. We are a key partner in the "Kids Restore the Kepler Project". This ambitious project, run in conjunction with the Fiordland Conservation Trust, seeks to eradicate pests from the area bounded by the Kepler Track in order to restore indigenous species to the region. These include takahe, kiwi and kakapo. Kids Restore the Kepler has won a Green Ribbon Award and The Southland Environment and Conservation Award. There is significant integration of the project into curriculum including network modelling in Mathematics, GIS mapping in Geography, ecosystem investigation in Science, pest control in Rec Skills, fictional writing in English, and Photography and Art projects. As a centre of environmental excellence we see ourselves as a destination for visitors who want to learn more about our environmental education projects. These visitors may be international visitors calling in for an hour or two, or school groups on outdoor education trips requiring a base for learning about the area before experiencing our great outdoors. We have had 4 students selected for the Sir Peter Blake Trust Youth Enviro Leaders Forum with one, so far, going on a Young Blake Expedition and then becoming a Blake Ambassador to Antarctica. A number of our students have also been selected for Spirit of NZ voyages. Mr. Filmer was the Sir Peter Blake Trust Environmental Educator Awardee for 2017.